The allegedly UNBREAKABLE blade of my window ice scraper snapped off under the strain of several days of heavy ice scraping in this December's cold and snowy Canadian winter weather. In fairness to the manufacturers and distributors of the "Unbreakable" ice scraper blade I have used it well past the 3 year limited warranty and it has seen lots of use in previous Canuck winters. People, including parents of severely autistic children, can also break particularly if they face other socio-economic and/or family and health challenges. Not all parents break in the face of the challenges and fears that haunt many parents of severely autistic children but some do. All of us know that it is highly unlikely that anyone will provide our autistic children with the love and care, the security and the enjoyment of life, that we have provided our children. Some of us, not all, but some of us, break under the pressures of those facts. Some parents rather than leave their children to a world that they know will not care for them kill their own children and take, or attempt to take, their own lives. The world of "autism" awareness is cursed by a group of fellow parents that attacks these parents for any effort to treat their own children, who do nothing to help those parents and their children in any meaningful way. 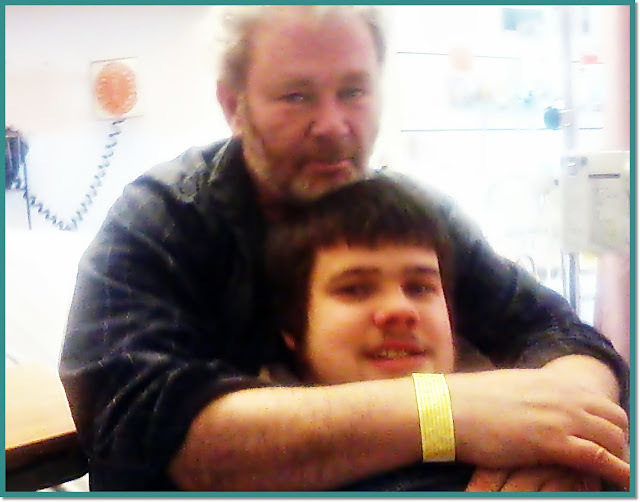 They most assuredly will not provide any meaningful assistance to the children whose parents they condemn for trying to end their existence to prevent their adult autistic children from suffering lives on streets, hospital wards, jails and mental health institutions. They do not realize that those parents are broken, just broken, by the realities they and their children face and the children will face after their parents are gone. Yes, they are broken by the realities their children will face after they are gone; NOT by people talking about those realities as some erroneously claim. These alleged thinking persons who purport to offer guides to autism and who attack all parents who do not drink from their "autism is a gift kool-aid" do nothing because they too are broken, their common sense is broken, their ability to see autism realistically is broken, shattered under the weight of their irrational belief system. We are all people. Ultimately our bodies outlast our limited time warranties. None of us can dare claim we are unbreakable. The alleged thinking persons would do well to remember that reality as 2013 slips away and their own children age and move closer to their own very uncertain futures. Some promote the view that autism disorders are "gifts" if only society could understand, change its ways and accept the gifts. The autism as a gift view, is irrational nonsense. 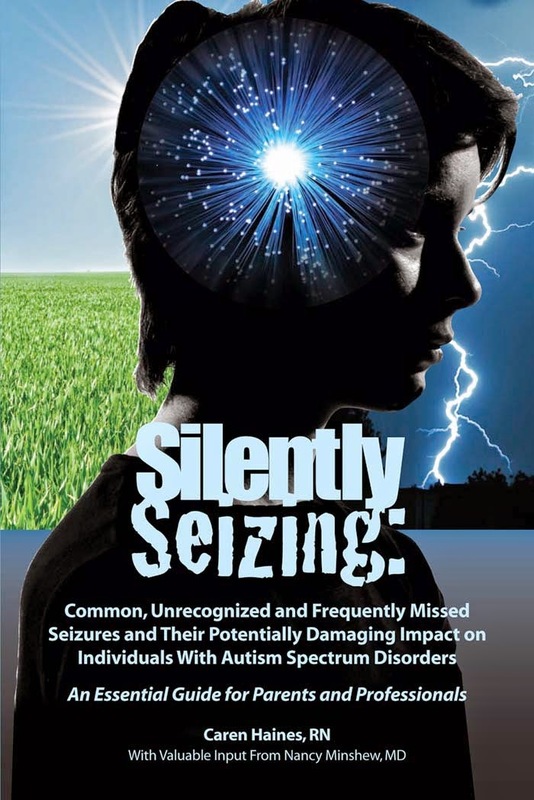 It thrives by simply ignoring the evidence of challenges presented by autism disorders including those like wandering or elopement which sometimes lead to tragic consequences. 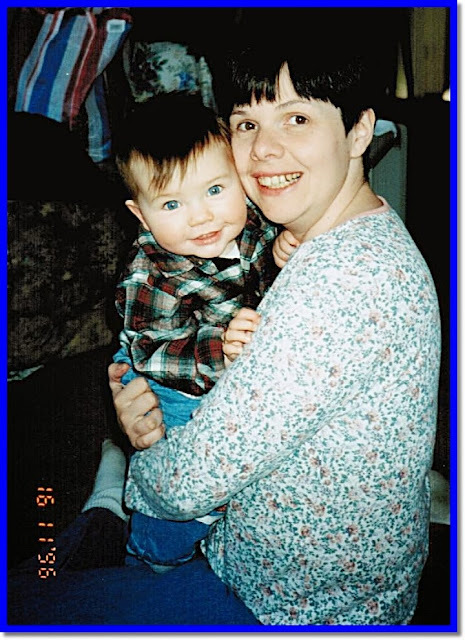 Like many with autism disorders my son once left our home unnoticed - he slipped out of the house while I was occupied on a business call. When the call ended and I couldn't find him I called 911 and was able to recover him safe and sound from a local convenience store where a good Frederictonian had taken him after stopping his truck on the busy road to take him to safety. We had a behavior analyst work with him to teach him not to leave home unattended and we increased our attention to his whereabouts from intense to unrelenting, making sure we know at all times, every minute, every second of the day, where he is. "Anecdotally, parents of children with autism spectrum disorders (ASD) report that their children often place themselves in danger by wandering off, or “eloping.” For the first time, a study has determined the frequency of these elopements in children with ASD and the impact on children and families. The study, “Occurrence and Family Impact of Elopement in Children with Autism Spectrum Disorders,” published in the November 2012 issue of Pediatrics (published online Oct. 8) was funded by several autism advocacy organizations and led and conducted by the Interactive Autism Network at Kennedy Krieger Institute. Researchers surveyed 1,367 families with children between the ages of 4 and 17 who had been diagnosed with ASD. Nearly half – 598, or 49 percent – of the families reported that their child had attempted to elope at least once after age 4. Of those, 316 children went missing long enough to cause concern. Greater autism severity was associated with increased elopement risk. Children eloped most commonly from their home, a store, classroom or school. Nearly half of parents said their child’s elopement was focused on an intent to go somewhere or do something, versus being confused or lost. Close calls with calamities like traffic injury or drowning are frequent, with police called in more than a third of cases. Of parents whose children had eloped, 43 percent said the issue had prevented family members from getting a good night’s sleep, and 62 percent said their concerns had prevented family from attending or enjoying activities outside the home. 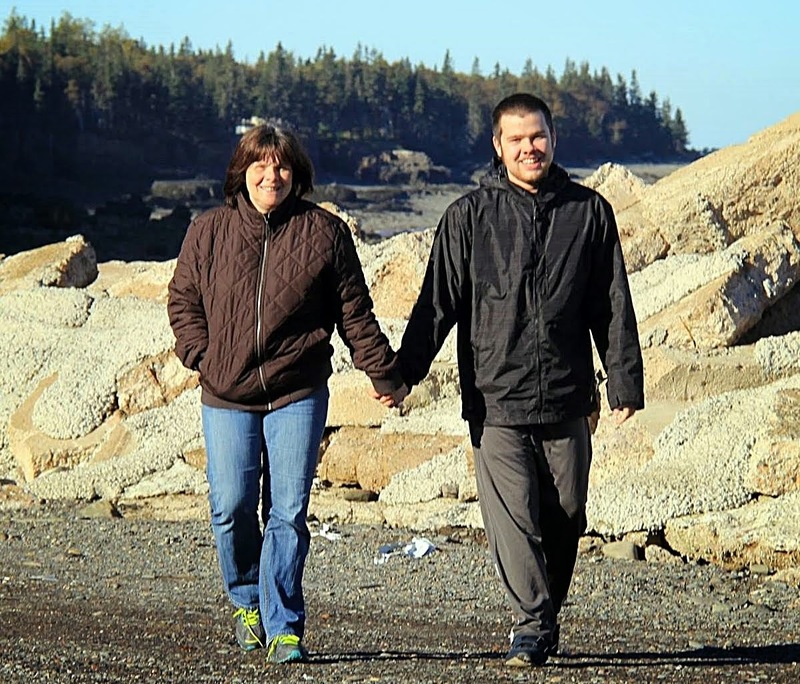 For 56 percent of parents, elopement was one of the most stressful behaviors they had to cope with as caregivers of a child with ASD, and half said they received no guidance from anyone on preventing or addressing this behavior. Until more research can be conducted to develop interventions to address elopement, study authors hope the results of the study will inform families, doctors, educators and first responders who grapple with the consequences of elopement." "Elopement may be a significant contributor to mortality in individuals with ASD, which has been reported to be nearly twice that of the general population,3 especially mortality owing to accidents, such as suffocation and drowning.4Despite reports of injuries, fatalities, and increased family burden, little research on elopement behavior in individuals with ASD has been conducted.5"
"DEVASTATED relatives of the four-year-old "cheeky angel" who drowned in the Clarence River were still struggling to articulate their grief yesterday. Three volunteer divers found the body of Connor Elliott-Graham, still in his Teenage Mutant Ninja Turtle pyjamas, on Boxing Day during a massive air and land search of the tiny sugar cane community of Chatsworth Island, 60km north of Grafton. It's believed that while parents David and Caity slept in the early hours of December 26, their son, who suffers from autism, climbed out of his bed and wandered across the road to the vast river in the state's north." A 12 year old boy described by the department of education as a high functioning autistic has been found wandering around Times Square,Manhattan New York after being reported missing after walking out of P.S. 188 on Cauldwell Avenue at around 10:30 a.m. Monday December 2. He was found after safely walking from Caldwell avenue to Times square, by the truancy task force, who were called to the scene and arrived at the school six minutes after the boy was reported missing. 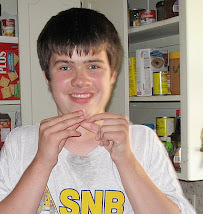 MILLVILLE — A missing autistic teenager was found in Vineland, according to authorities, after wandering from his Sunset Drive home. Robert Francesconi, 15, left his Millville residence Monday around 8:30 a.m., police said. Members of the Vineland Fire Department later found him near the intersection of Chestnut Avenue and Southeast Boulevard around 3 p.m. According to his parents, he is known to wander to high-traffic areas by foot in Millville and Vineland — visiting a different destination each time he has gone missing. 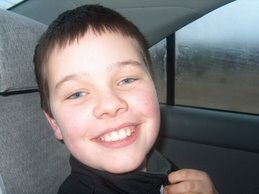 A missing 11-year-old autistic boy has been found dead in a swimming pool near his home, police have said. Police had been searching since about 3pm for William Archer who was last seen at a family address in North Street in the afternoon. Inspector Mike Coleman from central communications said the boy was dead when he was found about 11:15pm last night. Earlier police had said a lot of people had been looking for the boy since he was reported missing, including search and rescue staff, local police and his family. Conor would always react negatively when he heard the Hershey's Kisses Christmas bells commercial. The sound of the bells, even the sight of the bells, almost invariably agitated him. Recently I recorded a couple of Frosty the Snowman shows for Conor using our television DVR system. The Hershey's Kisses Christmas bells commercial was included as one of the commercials during the broadcast of the Frosty episodes. Today I grabbed a coffee from the kitchen to go back upstairs to do some work on my laptop and realized Conor was playing, and replaying several times, the Hershey's Kisses Christmas bells commercial using the television remote control. He actually seemed to be enjoying the sound of the bell music. Sure he was desensitizing but more than that, he seem to actually enjoy the bell music. He appeared to have learned to enjoy the commercial's bell sounds because he exercised control, literally, over the playing of the commercial, its sounds and images. In the picture above SFARI presents news of two "autism" studies which purport to find that brains of persons with "autism" are overly connected as compared to those in control groups. In fact both studies intentionally and expressly excluded persons with autism and intellectual disability, approximately 50% of those with autism spectrum disorders according to the World Health Organization, from their studies. Both the studies and the SFARI news commentary describe the results as descriptive of "autism" brains rather than "high functioning autism" brains. The studies, and the SFARI news commentary, continue the misrepresentation of high functioning autism as being representative of all autism disorders. "we argue that the practice of excluding children with ID in ASD research to study “pure autism unconfounded by ID” is ill considered, just as studying the risk of cardiovascular events in individuals who are slightly overweight, or who have mild presentation of hypertension, would not be informative on the most relevant aspects affecting the outcomes of individuals with those conditions." These two studies are presented by the SFARI commentary as representative of autism generally even though persons with autism and intellectual disability were intentionally excluded from both studies. The studies, and SFARI, also believe without any foundation that there is such as thing as "an autism brain" and that such "autism brains" are characterized by overconnectivity. It is, in my humble opinion, intellectually dishonest to state that there is one model of autism brain representative of all persons with autism disorders and that such brains can be described and understood by excluding from studies the 50% of persons with autism disorders, as estimated by the World Health Organization, who also suffer from an intellectual disability. "As the poor outcomes associated with the presence of ID in ASD result in large human and societal costs, it is important that future research systematically investigate the risk and protective factors associated with the development of ID in ASD. Indeed, excluding individuals with ID from research in ASD only renders more difficult the ultimate goal of fostering positive outcomes for individuals with ASD. " Dad Scores A Goal ... With A Big Assist From Tim Hortons, Eh! 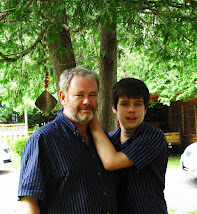 It may seem small and inconsequential to many but with Conor's autism challenges nothing is taken for granted. This morning as he made smacking noises while clearly enjoying his bagel I was a very happy Dad. I had scored a big goal with a big assist from Tim Hortons. 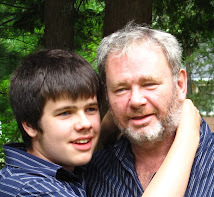 The question communicates the assumption that the major concern and predictor of future success for a person with autism is cognitive function — and the assumption that my son’s function is sufficiently intact for me to respond “yes” when someone tactlessly asks that question in front of him. But how relevant is it? Intelligence quotients (IQs) and severity of symptoms and manifestations can vary widely among people with autism, but the common thread obviously is the autism itself and the core deficits that accompany it. As the results of two studies published over the past few weeks emphasize, autism — along with the key deficits in social communication and interaction that define it — deserves more focus than the other variables that lend the condition its ‘spectrum’ metaphor." Willingham refers to two new studies which, she apparently believes, support her view that only the core conditions of autism as set out in the DSM5 Autism Spectrum Disorder should be considered as relevant and deserving of focus than "the other variables that lend the condition its "spectrum metaphor"". The 1st study compared various quality of life measures of 169 high-functioning (IQ>70) adults with ASD to 3 groups of persons with ADHD (85), affective disorders (85) and disruptive behaviour disorders (83). "(This collection of data from families that include one child with autism and unaffected parents and siblings is funded by the Simons Foundation, SFARI.org’s parent organization.) The [participants] teenagers all carry a diagnosis of autism spectrum disorder and are all of at least average intelligence." Neither study compared quality of life indicators as between groups of persons with autism spectrum disorder and various levels of intellectual disabilities with those of average or higher levels. There were no participants in either study who had an autism spectrum disorder and an intellectual disability. The studies cited are meaningless in light of the fact that approximately 50% of those with an Autism Spectrum Disorder are estimated by the World Health Organization to have an intellectual disability: WHO, September 2013. The DSM-IV definition of Aspergers Disorder stipulated that an Aspergers diagnosis could not be given in cases where the individual had an intellectual disability. These are significant facts of which Ms Willingham appears to remain blissfully unaware. 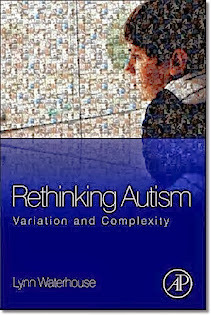 If the suggestion by Emily Willingham to embrace the long entrenched, misguided tendency to ignore intellectual disability in autism spectrum disorder research is accepted it will further lessen the chances that the challenges facing those most severely affected by autism spectrum disorder and intellectual disability will benefit from any such "pure" autism research. SFARI published the disclaimer that Willingham's opinion comment like all News and Opinion articles on SFARI.org are editorially independent of the Simons Foundation. Yet the fact remains that SFARI allowed Willingham to use the SFARI pulpit to misrepresent the realities facing those with severe autism disorders and intellectual disabilities to the world. 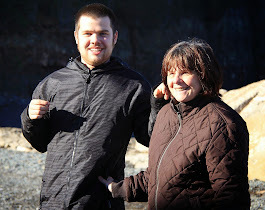 There is little reason to hope that persons with severe autism disorder and profound intellectual disability, people like my son, will ever benefit from "autism" research as long as Willingham, SFARI and others perpetuate the "pure" autism focus that Willingham believes would be of benefit to her High Functioning Autistic son. (TORONTO) Screening for autism is often occurring late, and children who are diagnosed then face long waits for access to some of the programs that could help them, Auditor General Bonnie Lysyk says in her 2013 Annual Report. In addition, certain services are not being directed to those that may benefit the most. “The Ministry of Children and Youth Services has quadrupled autism funding over the last decade, but there are still more children with autism waiting for government-funded services than there are chil­dren receiving them,” Lysyk said today following the release of the Report. Intensive Behaviour Intervention (IBI) is the Ministry’s primary autism program, and the Ministry has also introduced several other programs, including applied behavioural analysis (ABA)-based services, and respite programs. The audit found that children with autism are diagnosed in Ontario at a median age of a little over 3 years, later than the screening period of 18 to 24 months old endorsed by the Canadian Pediatric Society for children with risk factors. Then, due to long wait lists, Ontario children do not typically start IBI until almost age 7. Research has shown that children who start IBI before age 4 have better outcomes than those who start later. In addition, although scientific research shows that children with milder forms of autism have better outcomes with IBI, the program is currently available only to chil­dren assessed with more severe autism. • ABA-based services, the only type of funded therapy available to children with mild to moderate forms of autism, allow a child to work on only one goal at a time and may not be sufficient for those who have many behavioural problems or goals to achieve. After achieving one goal, the child returns to the bottom of the wait list. • The lead service agencies decide how to allocate Ministry funding for IBI between two service-delivery options: direct service, where the child receives service directly from a service provider at no cost; or direct funding, where the family gets funds from the lead agency to purchase private services. Wait times for IBI services can differ significantly between the two options and among regions. In one region in 2012, the average wait for IBI services under direct funding was five months longer than under direct service. In another region, the situation was reversed. • Children discharged from IBI services in 2012/2013 under the direct-funding option received on average almost one year more of services than those under the direct-service option (35 months versus 25 months). As well, children receiving IBI under the direct-service option often received fewer hours of therapy than they were approved for. • Children transitioning to high school and beyond receive minimal support. • Since 2006, the Ministry has reimbursed up to 60 individuals a total of $21 million for the cost of IBI therapy and other expenses outside of the regular service system. Per child, this represents more than double the value of services that a child in the regular service system typically receives. Oh Oh!! 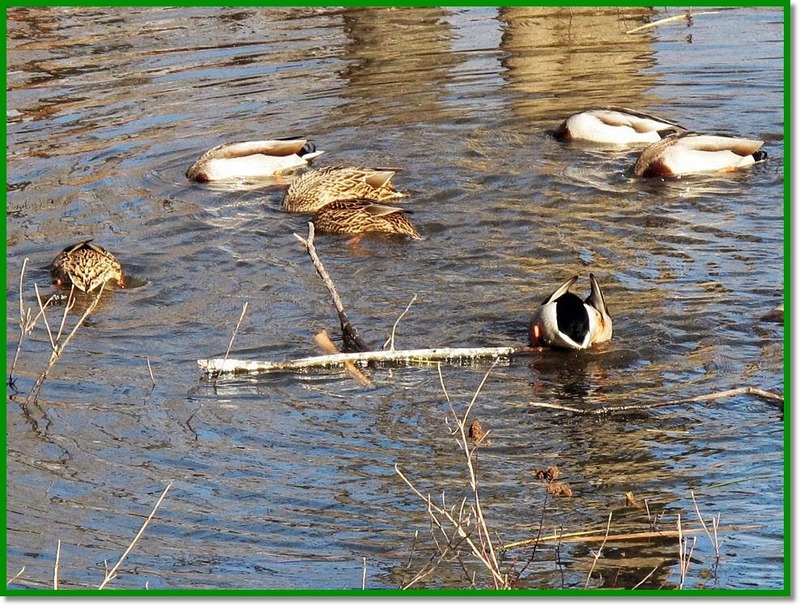 Authors of Report Concluding Aluminum Vaccine Adjuvants Are Contributing To Increasing Incidence of Autism Disorders Better DUCK! Impaired brain function, excessive inflammation, and autoimmune manifestations are common in autism. Aluminum (Al), the most commonly used vaccine adjuvant, is a demonstrated neurotoxin and a strong immune stimulator. Hence, adjuvant Al has the necessary properties to induce neuroimmune disorders. Because peripheral immune stimuli in the postnatal period can compromise brain development and cause permanent neurological impairments, the possibility that such outcomes could also occur with administration of Al vaccine adjuvants needs to be considered. In regard to the risk of adjuvant toxicity in children, the following should be noted: (i) children should not be viewed as “small adults” as their unique physiology makes them more vulnerable to toxic insults; (ii) in adult humans Al adjuvants can cause a variety of serious autoimmune and inflammatory conditions including those affecting the brain, yet children are routinely exposed to much higher amounts of Al from vaccines than adults; (iii) compelling evidence has underscored the tight connection between the development of the immune system and that of the brain. Thus, it appears plausible that disruptions of critical events in immune development may also play a role in the establishment of neurobehavioral disorders; (iv) the same immune system components that play key roles in brain development appear to be targeted for impairment by Al adjuvants. In summary, research data suggests that vaccines containing Al may be a contributing etiological factor in the increasing incidence of autism." 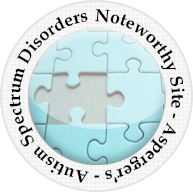 For years the autism professional community accepted the non evidence based speculation that autism disorders were caused by detached, cold mothers. The professions' embrace of this fantasy caused serious harm to many families. The other side of the coin is that persons with autism disorders are also cold, detached, do not show typical emotional responses. The cold autistic persons theory has endured but is now under serious challenge from some of the innovative, fresh thinkers at the Latrobe University's Olga Tennison Autism Research Center. Our family's personal (anecdotal), direct observation evidence, if such evidence were not strictly verboten in autism research circles, would demolish the cold kids with autism speculation. 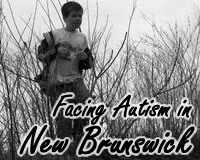 Through my autism advocacy in New Brunswick I have met other children with autism disorders, from both ends of the autism spectrum, who have displayed emotional responses once they got to know me, including some wonderful smiles, laughs and humor. 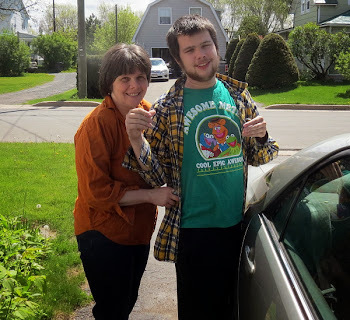 Many posts on my Facing Autism in New Brunswick blog and the borders on my blog contain pictures of our wonderful, severely autistic son and his warm embraces and brilliant smile. 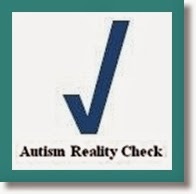 As direct experience evidence from a family such evidence is given no weight in autism research circles (as opposed to the serious consideration given by autism professionals to the views of persons with very high functioning autism). response, and support, for his old Dad. Conor displaying emotional responses to his Mom. Now comes news from the Olga Tennison Autism Research Centre at Latrobe University in Australia that the detached, cold person with autism theory/speculation is under serious challenge by researchers at the OTARC. In essence Heather Nuske and her colleagues at the OTARC are exploring the idea that persons with autism probably (more research is necessary) display typical emotional reactions and attachments to caregivers and persons with whom they are familiar while showing no, or very little, emotion or attachment to persons with whom they are not familiar. 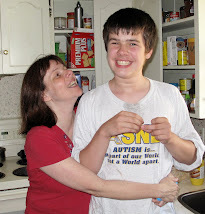 Personally I am happy to see Ms Nuske and the OTARC challenging the cold autistic kids speculation and believe that their idea is entirely consistent with our experience with our wonderful son Conor. 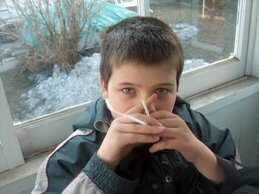 "Autism spectrum disorder: Interaction of air pollution with the MET receptor tyrosine kinase gene," online ahead of the January 2014 edition of Epidemiology. "Although gene-environment interactions are widely believed to contribute to autism risk, this is the first demonstration of a specific interaction between a well-established genetic risk factor and an environmental factor that independently contribute to autism risk," said Daniel B. Campbell, Ph.D., assistant professor of psychiatry and the behavioral sciences at the Keck School of Medicine of USC and the study's senior author. "The MET gene variant has been associated with autism in multiple studies, controls expression of MET protein in both the brain and the immune system, and predicts altered brain structure and function. It will be important to replicate this finding and to determine the mechanisms by which these genetic and environmental factors interact to increase the risk for autism." "CHARGE (Childhood Autism Risks from Genetics and the Environment) was launched in 2003 as the first comprehensive study of environmental causes and risk factors for autism and developmental delay. 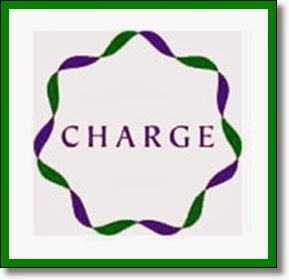 The CHARGE study recognizes that no single factor accounts for all autism cases, nor is there one event or exposure that can be responsible for the rapid increase in diagnoses over the last few decades. Instead, each child’s path to altered brain development may be different." With all the recent, angry, irrational attacks on Autism Speaks by Neurodiversity cultists it is worth pointing out that Autism Speaks is one of the sponsors of the CHARGE study which the Campbell/Volk study team used for its research data. The study authors point to the need for more studies replicating their results. 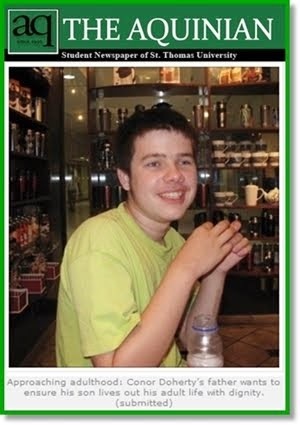 Hopefully more such gene-environment autism research can be conducted.